This is really weird, but when I go to Thai places I always try the same thing. The reason is I base a restaurant on how they prepare a Thai dish that I love. I did the same thing for years with Mexican food and chicken enchiladas. 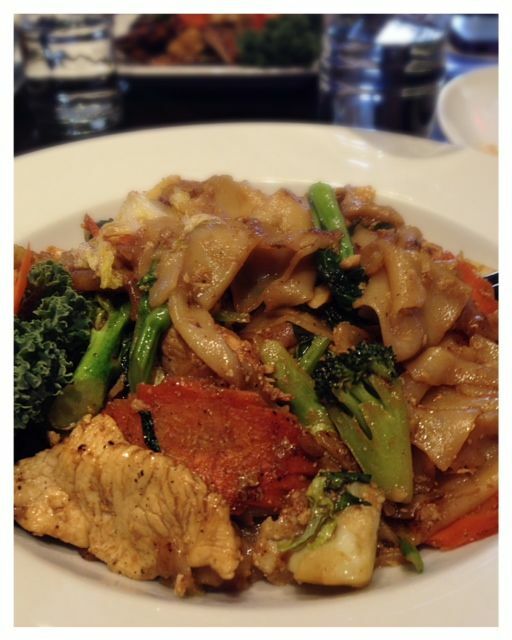 Anyways, that is why I ordered the Pad See Ew. I love the wide noodles and the huge veggies that usually accommodate this dish. I also love that it is usually a large dish. There were about 6 of us at the table today and my entree was probably the largest and it was only about $8 on the lunch menu, and I am happy to report I ate every last bite of it. Not only was it a great dish that was loaded with flavor, but it was priced really well. Cindy ordered the Crab Pad Thai. Mine was good, really good actually, but hers was outstanding. 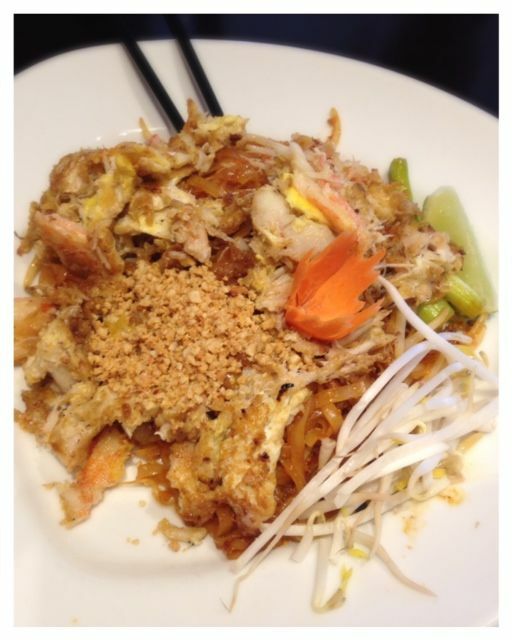 Of course I love crab and Pad Thai, so what a match made in heaven. They didn’t skimp on her crab either, it was loaded. If I were to come back I would definitely order this dish. I should add that she started her meal with a Tom Yum soup. The broth was really rich and the chunks of mushrooms and chicken was a perfect addition. Great soup. We were not there for Happy Hour, but we hear they have a fabulous Happy Hour. Cindy would know. There is also a coupon in the guidebook for Thai Bloom. 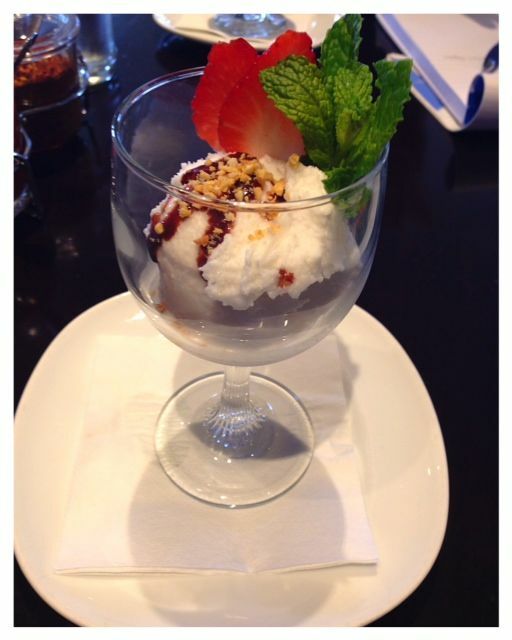 Also when you check in with Yelp you get free coconut ice cream. I really don’t enjoy ice cream (actually it doesn’t like me) and coconut would not be my first choice in flavor, but it was free so I got some. Ok! I ate the whole thing. It’s made in house and for some reason this ice cream didn’t bother me at all. I love Thai. I love finding new thai places that are a great value, a great space and great flavor. Thai Bloom has it all. Atmosphere on the bar side is really Portland contemporary, where the other side feels more like a dining room. Although the tables in the dining room were space far apart so it made dining a real pleasure because you weren’t dining with your neighbors. Price was great for lunch. My Pad See Ew was just $8. Service was good. This place was hopping the whole time we were there and people were moving through pretty quickly. Which makes for a great lunch spot. 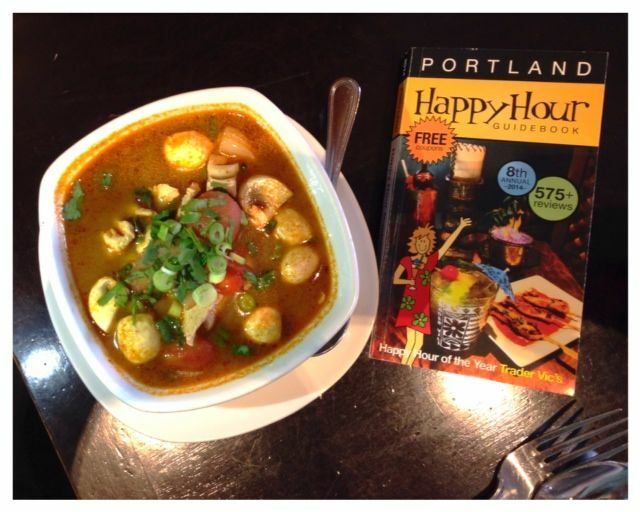 Thai Bloom is located in Beaverton, Oregon. Hi, It’s Walter over at Thai Bloom restaurant. I just wanted to send you a note that our website address has changed to https://www.thaibloom.com, we basically lost the restaurant word at the end of it, but still same great restaurant with our second location on 23rd and Flanders in NW Portland. If you haven’t stopped by there yet, we have the same great lunch, happy hour and sidewalk seating right on 23rd. I look forward to seeing you and Cindy over there sometime. Thanks!